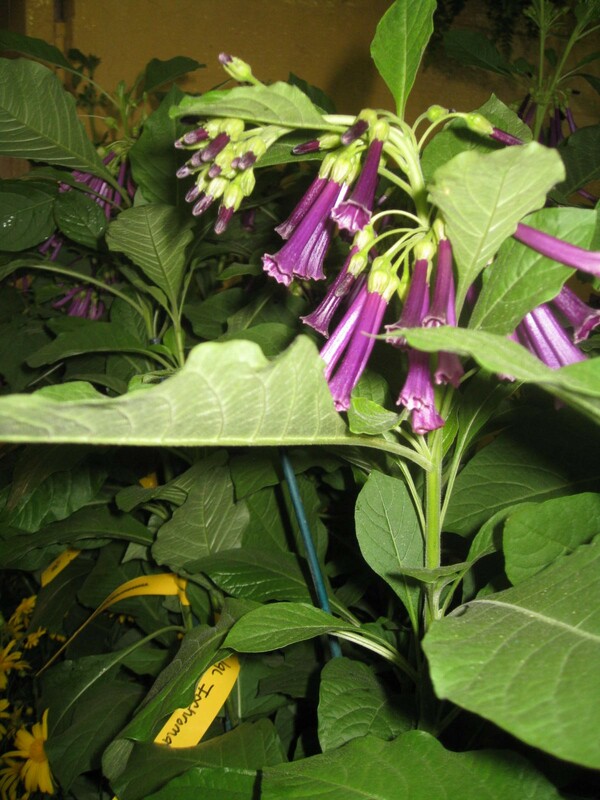 Comments: Does not like high temperatures and should be grown in afternoon shade in hot areas. It flowers best when temperatures are mild to cool. Makes an excellent container plant and should be protected from frost or light freezes. It is sometime grown as an annual where it is too cold for permanent landscape use. Hummingbirds love the nectar that is produced by the many flowers the shrub produces. There is another variety that has violet colored flowers. The vegetative parts of tjis Perue native are posionous if ingested.